“Big things are in the works,” he shouted before hanging up. While we wait for further orders, we’re dusting the computer room tarps and checking the mousetraps. We’ll keep you informed. Top 50 on TV: The Masters will be held, once again, at the fourth-ranked Augusta National Golf Club and the 47th-ranked Augusta National Practice Range. It’s been a while since we answered anonymous voice-mail questions, so here goes. When can we expect your Top 50 list of Russian courses? How about when Russia has fifty courses? Or forty. Or thirty. Or ten. Stone Forest: China's answer to Rocky Road ice cream? Unfortunately, that quote was translated into Mandarin and back into English, so it came to us as “We got stoned at a show.” Horrified, we promptly fired our Yunnan course raters and hired a second-rater from Hong Kong, who now informs us that the original report was accurate in its particulars, if sloppy in its expression. 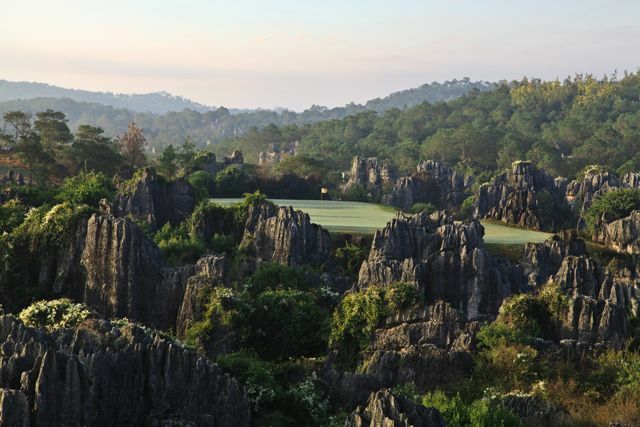 The new golf complex, Stone Forest International Country Club, recently opened for play, and it does, indeed, provide a rocky experience for golfers of all abilities — all within a stone’s throw of Kunming, a city of nearly 6 million at the northern edge of Dian Lake. Anyway, we’re ready to release our Chinese Top 50 — once our second-rater decides which of the three Stone Forest courses is the best. Malcolm Gladwell, in a recent New Yorker, makes a devastating critique of U.S. News & World Report’s “Best Colleges” guide and, by extension, all service-journalism rankings. Do you think your pseudo-scientific golf course list is any better than the Consumer Reports and Car and Driver ratings that he demolishes? Funny you should ask. I, myself, have debunked all three of those sloppy, self-serving lists, and I did so when Gladwell, as a barefoot boy in Hampshire, was still learning to use a curling iron. Three decades ago, for instance, I blew gaping holes in a “Most Livable Cities” survey that had Honolulu ranked 47th among American metropolises, 27 rungs lower than [drum roll} … Warren, Ohio! To correct their error, I recommended that they simply add the category, “Public and Private Garage and Parking Lot Landscaping.” I assume they took my advice, because the following year’s rankings had Honolulu somewhere in the top ten, while Warren was no longer recognized as an American city. But to answer your question, my Top 50 has nothing in common with the flawed surveys in Gladwell’s article. 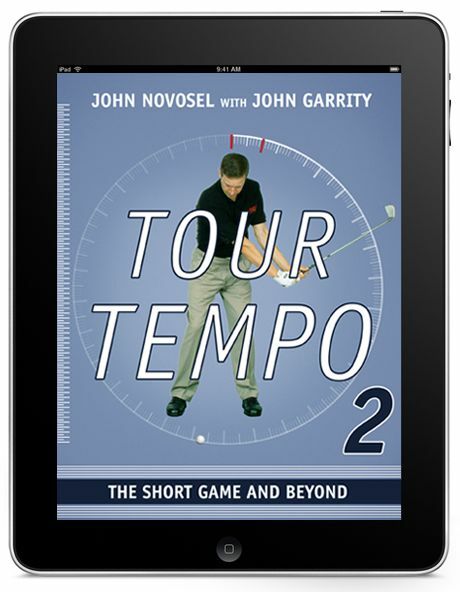 That’s because it is unassailably “my” Top 50 — not yours, not GOLF Magazine’s and certainly not Gladwell’s. I hear that Pinehurst No. 2 is reopening after a renovation by the Crenshaw-Coore design team. 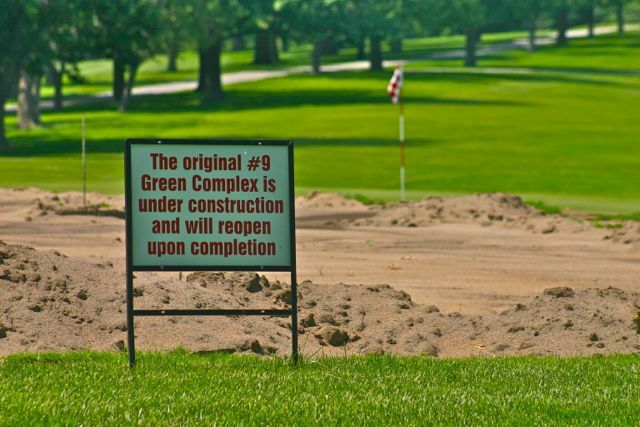 Will their changes boost the greatest of all Donald Ross courses into the Top 50? I thought No. 2 was in my Top 50, but the boys in the computer room tell me that it dropped to 111th when I penalized it 400 points for having mats on the driving range. (Sorry, Pinehurst.) I’m a big fan of Crenshaw-Coore’s work, so I wouldn’t be surprised if No. 2 moves up dramatically before it hosts the 2014 men’s and women’s U.S. Opens. 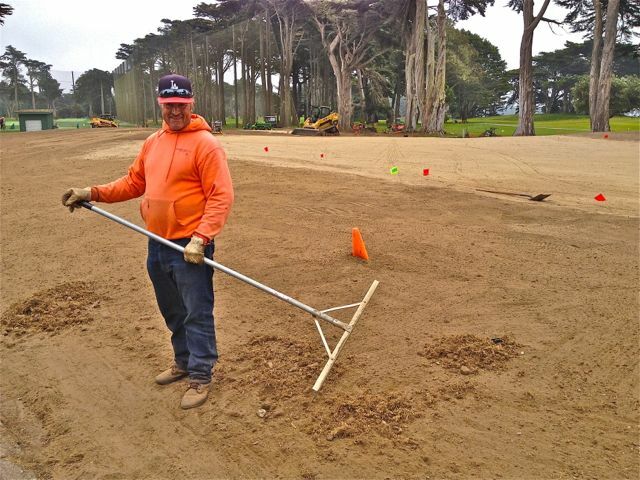 I definitely like the natural “dunes look” of the rebuilt bunkers. I just wish they had thrown in a few of Ross’s old “chocolate drop” mounds; that was a swell way of concealing construction debris without having to pay someone to truck it off to the dump. 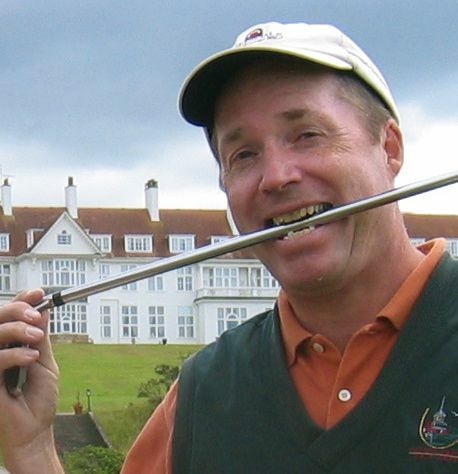 Top 50 on TV: Nothing this week, but SI.com features a “Behind the Mic” video of Sir Nick Faldo forecasting this year’s Masters, “where the real drama starts.” Faldo correctly points out that intermediate and short-iron play will be the key to winning at Augusta National, along with putting (‘blistering-quick greens”) and driving (“very important”). Rut-iron play, in other words, will not be a factor. Perfect, however, is something we have never claimed to be. Decimal points can be misplaced. Fours can fail to be carried. Checks can — and do — get lost in the mail. * That’s why we constantly re-examine our data, looking for niggling errors, and why we subscribe to a sophisticated “spell-checking program” that makes us look up words that it doesn’t recognize. (See “Valderrama.”) It is Top 50 policy to correct even minor mistakes, there being no better way to preserve confidence in the published ranking. *Sometimes twice in a row, against all odds. In that spirit, we submit this clarification of the most recent ranking: No. 45 is Swope Memorial Golf Course, Kansas City, Mo. — not The Country Club of Brookline, Mass., as originally announced. The elevation of Swope Memorial marks the first time that two A. W. Tillinghast courses from Kansas City have achieved simultaneous rankings. Elegant Kansas City Country Club, the third-oldest country club west of the Mississippi and home course of five-time British Open champion Tom Watson, is better known than its crosstown cousin, but both tracks have pedigrees. KCCC has hosted numerous state, regional and national tournaments, including the inaugural Trans-Mississippi Amateur (1901), won by John Stuart. 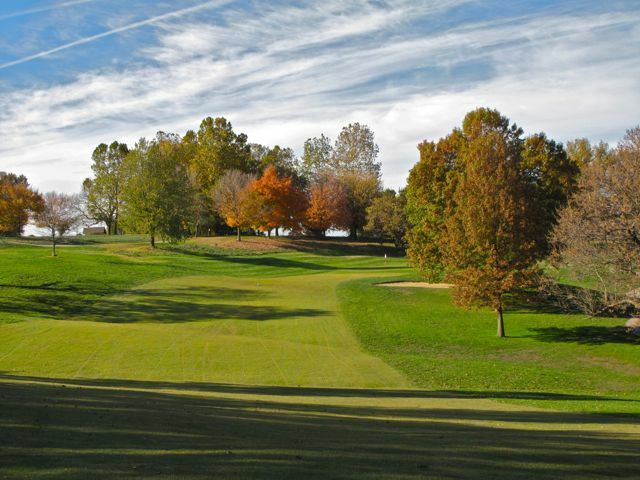 Hilly Swope Memorial, a municipal course, hosted the 2005 U.S. Women’s Amateur Public Links Championship and was the PGA’s venue for the 1949 Kansas City Open, won by Jim Ferrier. We regret, but don’t admit to, the error.